February is here, which means you’re either anxious to fill your home with candy hearts or can’t wait for the “season of love” to be over. 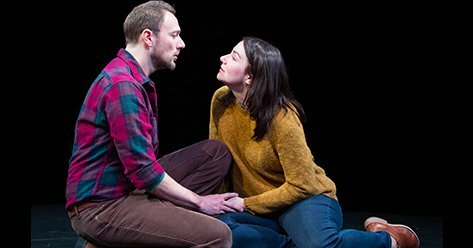 Whether you love Valentine’s Day celebrations or would rather spend it crying alone to the Rent soundtrack, there’s one thing we can all celebrate this Valentine’s day and that’s a love of theater. That’s why this year we’re sharing the love with an enthusiastic bunch of singles all over the world. From New York to London, they met for the first time, attended a show together, and documented their experiences. Was a Showmance sparked? Read on to find out. In New York, we take our matchmaking very seriously which is why we teamed up with Modern Love Club. Founded by matchmaker Amy Van Doran, Modern Love Club provides matchmaking for extraordinary people. Our adventurous singles headed to Broadway to see Cirque Du Soleil Paramour. 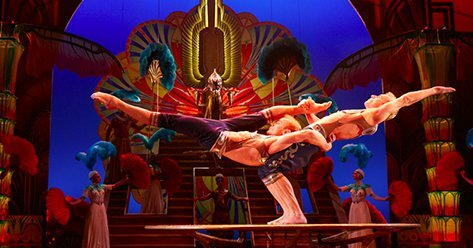 Paramour’s death-defying stunts, music, dance, and breathtaking magic made for the perfect show for some New York Showmance. Tap here to meet Bert and Amira and hear about their date. When in Rome, do as the Romans do. But when in London, see some Shakespeare! Our singles experienced a classic tale by the Bard, but with a truly modern twist. 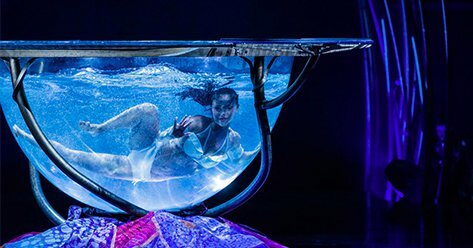 We sent our lucky Londoners to the stunning Royal Albert Hall to experience Cirque Du Soleil Amaluna, based on the story of The Tempest. Tap here to meet Nick and Callum and hear about their date. An evening in a sumptuous 1920s speakeasy? Sounds like the perfect date night. 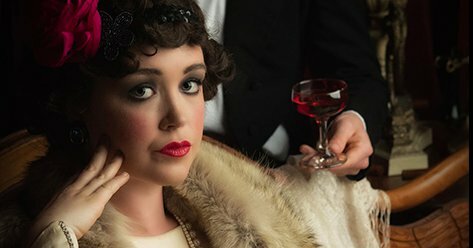 Our SF singles headed to a mysterious location to experience The Speakeasy, a hit immersive production where 1920s period attire is suggested…and finding love is highly encouraged, too. Tap here to meet Roy and Brad and hear about their date. 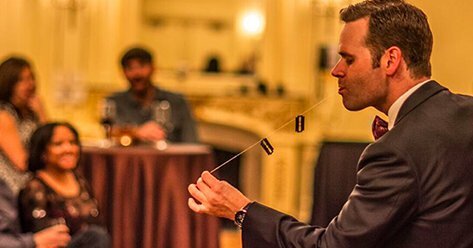 Our Chicago singles were in for a magical treat at The House Theatre of Chicago’s The Magic Parlour, located in the swanky Palmer House hotel. Did astonishing theatrical magic from one of Chicago’s best magicians ignite a flame? Tap here to meet Hannah and Sam and hear about their date. What’s more romantic than ballet? Our Seattle singles found out at Pacific Northwest Ballet’s stunning modern production of Cendrillon. 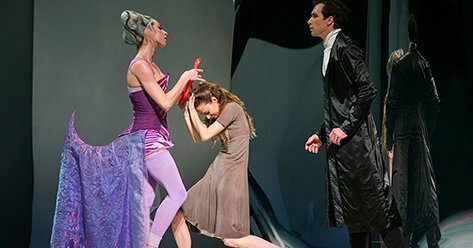 With sleek design and award-winning choreography, this modern re-telling of Cinderella was a date night to remember. Tap here to meet Kelly and Pat and hear about their date. 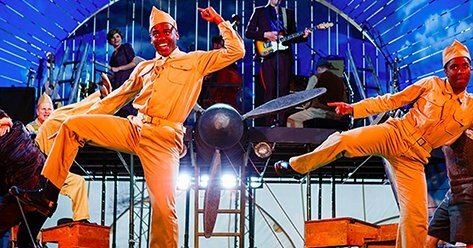 We set up two LA singles to experience Kneehigh Theatre’s 946: The Amazing Story of Adolphus Tips at The Wallis Annenberg Center for the Performing Arts. Read on to find out how the evening went! 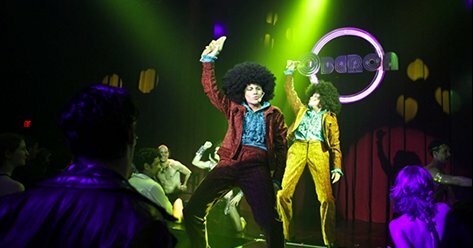 We sent our Boston couple to a late night party at OBERON’s The Donkey Show, where they were swept up in an immersive disco retelling of A Midsummer Night’s Dream and covered in glitter. Très romantic, no? Tap here to meet Nora and Mike and hear about their date. 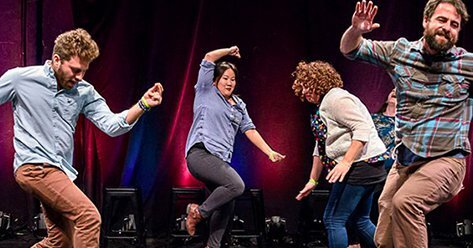 Our DC couple headed to Washington Improv Theater’s Road Show: Wintry Mix at DCAC. We hope they “yes and-ed” each other and enjoyed part two of their date at DC favorite Tryst for dessert! Our Philly singles headed on a romantic journey, as they experienced Constellations at The Wilma Theater followed by drinks and conversation at Bop. Did seeing such a romantic play lead to some real-life romance? Tap here to meet Hannah and Tim and hear about their date.